Enjoy a pleasant and wonderful evening on La Marina de Paris boat. Admire the illuminations of Paris during a dinner cruise on the Seine river for 2 hours and delicious typical french gastronomy. See sight such as the Musée d'Orsay, Notre-Dame de Paris Cathedral and the Conciergerie located on the Ile de la Cité, as well as the Louvre. 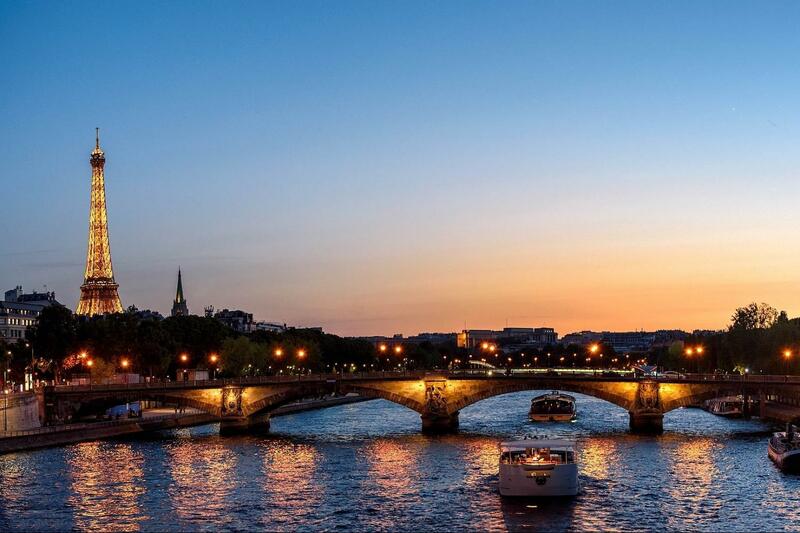 This exceptional view will also include a chance to observe the illuminated Eiffel Tower as the boat passes by. The cruise was great!! Food was really good and we got to see lot's of sights from the water which was incredible. Very glad we decided to do it and will definitely do again if we go back.